Pure organic rosehip oil works wonders on wrinkles, fine lines and acne scars. Provides all – over nourishment and repair for dry, dehydrated and ageing skin. The fatty acids found in the rosehip oil help to promote cellular development and collagen synthesis, which is important for keeping skin smooth and supple. High percentage of retinoic acid, vitamin A helps to revitalise, brighten and restore the skin. Regular use will noticeably improve your skins appearance by dramatically improving skins moisture levels and making skin more smooth and supple. Simply massage one or two drops into your face morning and/or night after cleansing. Can be used instead of or prior to applying your moisturiser. 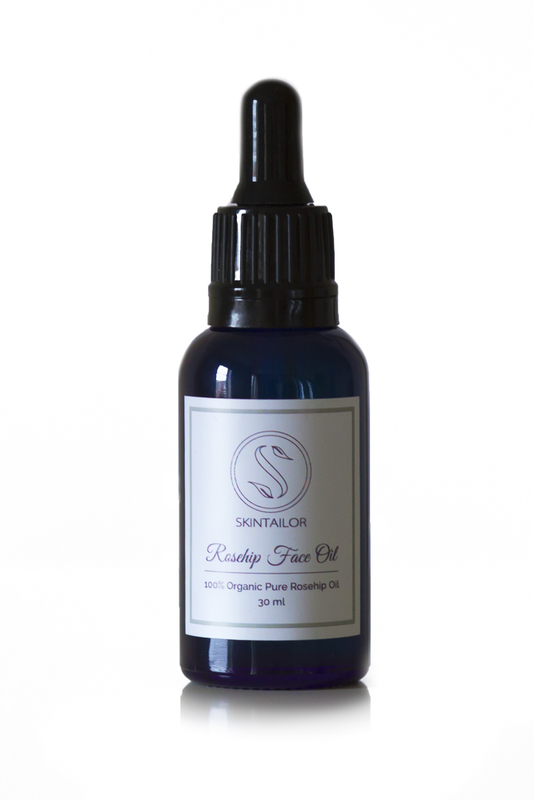 If your skin is feeling very dry you can add a few drops of oil into your tailor made Skintailor moisturiser.